With spring or summer can come the rain showers. Showers means water on your home and water is a serious threat to your home if it is not properly addressed. For this post I will be referring to exterior bulk water and helping control it with caulking (or sealant). Bulk water is not condensation or moisture produced by every day living on the interior. That’s a whole other post. Most homes are built from wood or wood based products. You may say, I have cement siding, brick, or stucco, or stone (veneer) so I don’t have to worry. Sorry but not true. Besides, what’s behind that veneer? Wood! Wood studs, wood sheathing, etc. You have got to keep water away from that wood. Let me try and make this simple. The exterior veneer you have on your home is decorative and designed to keep out the large amounts of water. What people do not realize is that moisture (water) will go through all masonry veneers and most veneers can be considered a reservoir cladding. That means it can soak up and hold water. Enough building science. What homeowners need to do every spring is take a walk around their home and LOOK at the exterior walls. 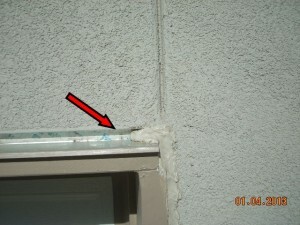 There many locations where caulking is installed on home. Where the veneer meets the windows and doors (sills & jambs), around the pipes and vents, etc. The caulking at these joints can deteriorate and crack. 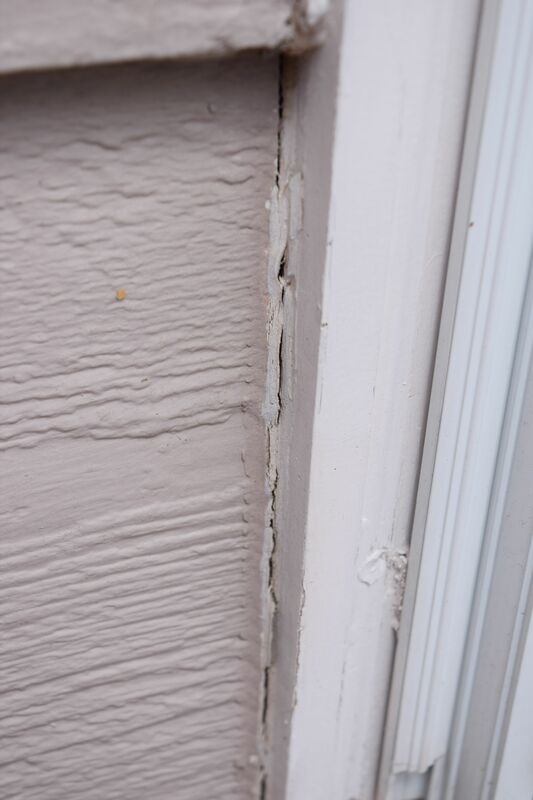 That crack can let water in and over time the caulk will pull away and make a larger crack. That crack(s) will allow water to get behind your veneer. Not a good thing. 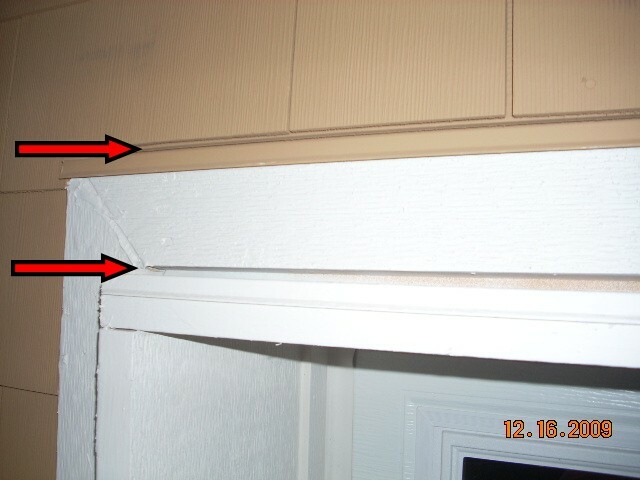 If you see cracks in those caulking joints, you need to re-caulk. 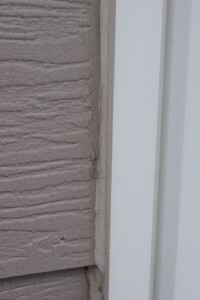 Depending on the size, sometimes you can caulk over the joint, but that is not the recommended repair for the long term as the new caulking may not adhere. 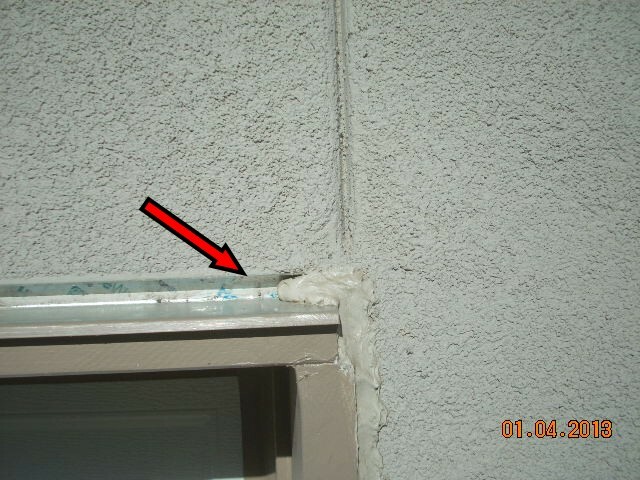 The old caulk should be removed and new installed. Carefully cut and scrap it out and apply new. Be careful not to damage the wood or trim. 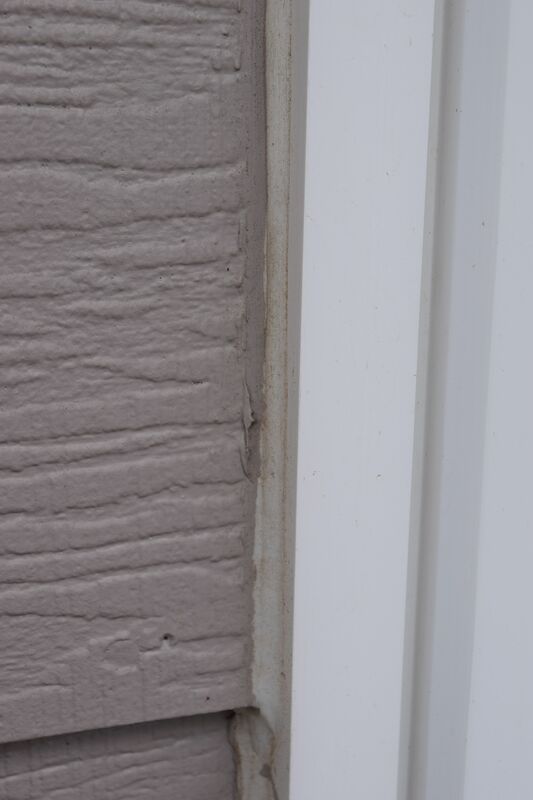 Yes, you may need to touch up the paint on your siding. What type of caulking do you need? There are a lot to choose from. First question to ask is will you need to paint over it. If so, you need a paintable caulking. That usually means a latex or acrylic latex (painters caulk). If you do not need to paint over it, or the caulk can be color matched to what you need, you have more choices. Some caulk comes in various colors. Most people will choose a silicone first. It is a good caulk but…. You need to see if it is compatible and recommended for the surface(s) it will be adhered to. That goes for any caulking. Another choice is polyurethane (always my choice when possible). This stuff sticks to everything, including you! It has great elastomeric properties and is compatible with many surfaces/materials. But some are not compatible. There are silicones and polyurethanes labeled as paintable but I have never tried them to see how well paint adheres. So now you have the joint(s) clean and have purchased the caulking. Caulking comes in tubes designed to be used in a caulking gun. The mistake people make is that they use too much and then use their finger to spread it out and end up with a big mess and an ugly joint. When you cut the tip off the tube, cut a small amount so the hole is small. That will provide a small bead. You can always make it larger if needed. Use a nail or wire to puncture the seal in the nozzle. As you squeeze the caulking gun, put the nozzle in the joint and move at a steady pace watching the tip area as the caulking comes out. The nozzle spreads the caulking. Don’t let it build up behind the tip and ooz around the sides. Smooth steady speed is important. 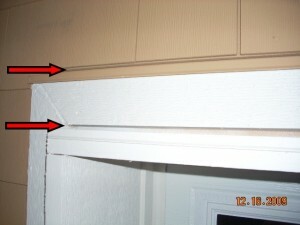 You must get caulking on both sides of the joint for proper adhesion without applying too much. They make caulking tools available at home improvement stores to spread the caulking in the joint. If used properly, they work reasonably well. Note: if the horizontal joint above your windows and doors does not have caulking in it, DO NOT caulk it closed. It was left open for drainage and designed that way. Rex’s tip of the day! – Read the label on the caulking tube to ensure the product you have chosen is correct for the application.